We now have weekly Harvest Boxes available. 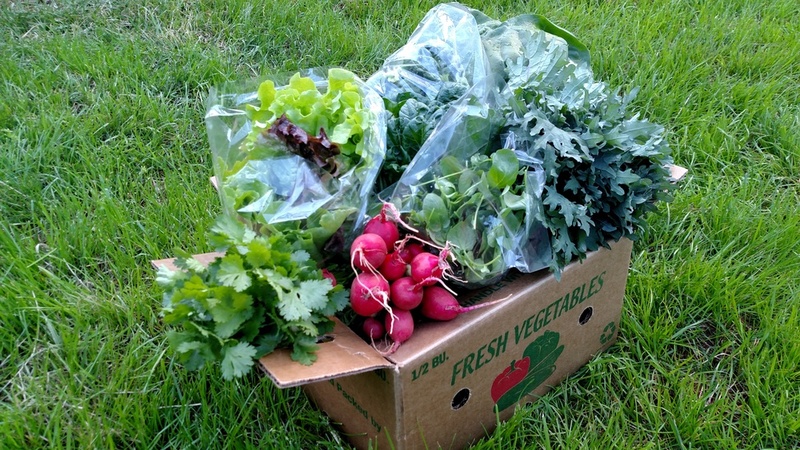 The boxes include a variety of items that we will be harvesting each week. Each box will contain 7-10 hand-picked produce items that will vary week to week (depending on season) and placed in a water-resistant (biodegradable) container that can be recycled or returned for re-use. The items included are always freshly harvested and produced on our farm. You may order these boxes using the form below and can be picked up at any of our market locations or at the farm (you will be prompted to indicate where you will be picking up at). We will send you a confirmation email. You may also order by email or social media. We have delivery options for local residents living within 5 miles of the farm.